At first glance, the producer of Michael Jackson's "Thriller", and "We Are The World", may not seem like much of a candidate for recognition on a mod website. 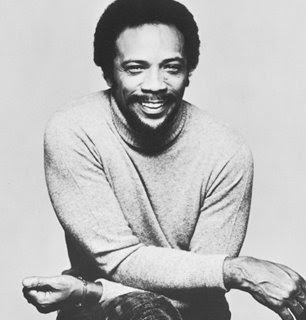 But, Quincy Jones best work came from a deep love of jazz, blues and soul, all of which played a big part in his early career. And, since Suave HQ is in Washington state, and Jones grew up here and attended Garfield High School, famous for its jazz bands over the years, I figured the local connection cinched the deal. Jones got his start touring with Lionel Hampton's big band, but then in the 1950sstarted writing and arranging for some of jazz musics greatest stars like Sarah Vaughan, Dinah Washington, Count Basie, Duke Ellington, Gene Krupa, and Ray Charles. In the 1960s he became a VP at Mercury records and his view shifted to popular music. He helped discover Lesley Gore, and was one of the key composers and arrangers for Frank Sinatra and Ella Fitzgerald. Maybe more importantly, he was the arranger for Sinatra's collaborations with Count Basie, including much of the music during the Rat Pack era. The song here, "Call Me Mister Tibbs" is taken from They Call Me Mister Tibbs the sequel to In The Heat Of The Night, with Sydney Poitier reprising his famous title role. Jones scored both soundtracks, but I prefer the second which is funkier, looser, and more free flowing coming as it did in the early 70s. The organ dances wildly, constrained only by the funky bass and guitar riffs, and a sort of Batmanesque flourish repeated throughout.